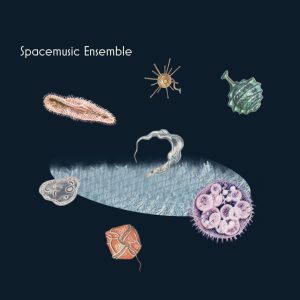 On Motvind Records’ third release it is Signe Emmeluth who stands for the music, leading her own Spacemusic Ensemble. The ensemble, a strong bouquet of remarkably expressive musicians, has interpreted Emmeluths compositions with striking results – here are patience and direction, energetic outbursts and melancholic melodies, free-floating passages and punchy statements. A thourougly groovy electro-acoustic piece with lyrics evoking a surrealistic imagery of cosmos, quantum physics and love. The primary inspiration for the piece are the contributing musicians. I try to write music where the musicians can unfold, be challenged and have fun. The concept SPACE does not refer to the Universe, but to how you can create space in the music, play with the placement of sound sources and change the perspective and sense of depth. Another central idea has been investigating the relationship between improvisation and composition – how they can extend and enhance each other, rather than function as opposites. The written material will be put in new contexts, so the piece will be in perpetual movement and change with every live performance. The piece is circular, as the ending references the beginning. It gives you the feeling of coming back. Everything is connected in a bigger SPACE. It is very joyous for Motvind Records that young musicians with their hearts in the right place wish to produce and release records that demand a certain devotion from the listener. We believe in the album format and are ever fascinated by how a record can take us on copious journeys. With good listening conditions and a portion of concentration this record will show itself in all it’s glory, with new layers of depth at each listening. IS OKAY OKAY IS CERTIFIED is released on CD and digital.